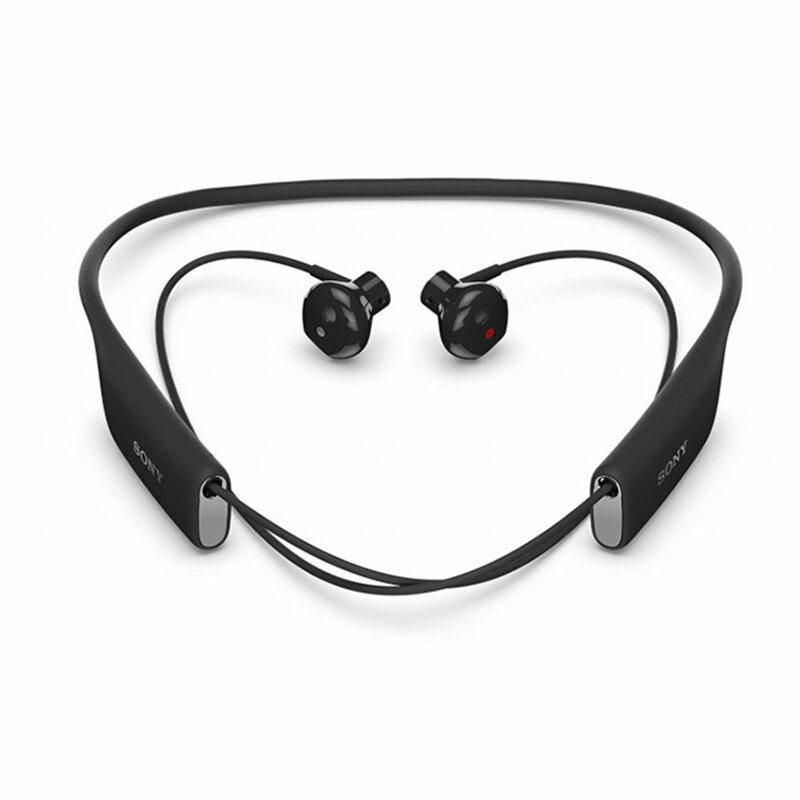 Around the neck bluetooth headphones have a lot of advantages over other type of headphones. They are great for phone calls and have strong battery life. What are the best and why we see this type of headphones? Sound signature: Balanced with a little bit bass boost. Built with W1 Bluetooth chip BeatsX offer everything you need for your Apple device. It is a hybrid between regular Bluetooth earbuds and neckband bluetooth earbuds, which sounds great. With built-in W1 chip developed by Apple, the BeatsX is an excellent around the neck Bluetooth headphones for iPhone users. The benefits of W1 is that it will let the headphone automatically pair with any Apple devices with the same cloud ID. For the sound quality, the BeatsX sounds balanced and natural, thanks to the Apple audio engineer team. The beatsx come with a sporty design, the earbuds fit securely and comfortably into the ear with wingtips. Supported by Bluetooth 4.2, the Sony WI-C400 sounds good for a Bluetooth headphone. 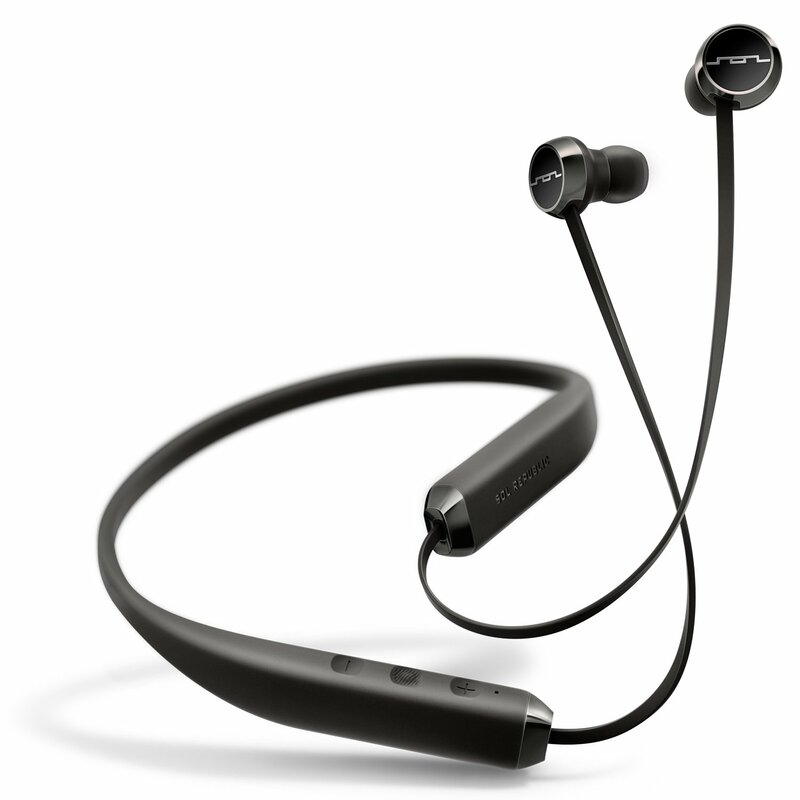 Sony recently release their new budget neckband headphones, the Sony WI-C400. The collar is very comfortable to wear, and seems to have a good build quality, the earbuds are small and lightweight, the cable can be adjust with the ball position on the band. The WI-C400 is not for basshead. The bass is not really punchy and rich, but it is present and the treble is a bit harsh. This around the neck Bluetooth headphones offer more than what you would be expected for the money. It sounds good with a plenty of bass while maintain the clarity and detail of treble. The buds are metal-built and durable and sweat-proof. The earhooks are easy to fix the position for a secure fit, and they are comfortable to wear too. With 8 hours of battery and nifty feature – magnetically clip when not in use, this is the best budget option you could pick. The only thing we prefer if they have more stable Bluetooth connection and longer range of connectivity. If you don’t like the sound sealed in the ear this around the neck Bluetooth headphones is a nice choice. Without doubt, the Sony SBH70 is a very comfortable and ergonomic headphone. If not looking at the flexible neck band, the earbuds looks pretty much like Amazon premium earbuds, Sony STH30, or Apple earpods, which don’t have eartips and welcome ambient sound in. In other words, it lets the noise in and indeed does offer open sound stage. If you feel uncomfortable with ear tip insertion, it’s a ideal choice. It is waterproof with IPX rated as 5-7, but you can not use it in swimming pool, jut light rain. Unfortunately, when it comes to the sound quality, the SBH70 would need to do a lot to catch up with LG Infinim. The lows represents pretty the same as LG, but mids and highs are not equal and don’t sound smooth. Although the band is flexible, Replublic Shadow is not bendable and still bounces as you move. The AptX, as a part of marketing campaign of Bluetooth audio makers, promises a better sound quality compared to regular Bluetooth connection. The Replublic Shadow’s sound quality is decent and priced afford-ably for a Bluetooth earbuds. Fans of Beat headphones may be disappointed since it is not a bass-focused earbuds. Despite the bass is deep and tight you still find it is quite heavy when playing R&B. Is these earbuds designed for sports? not quite, you need to purchase the sport hooks if you tend to use these earbuds for running, working out or whatever sport that require earbuds fit securely in the ear. This headset comes with retractable earbuds. The earbuds can retreat to their nests positioned on the band when not in use. Having this nifty feature, the cable has to be thin, which increase the chance that it is easy to break if you incidentally snag earbuds. 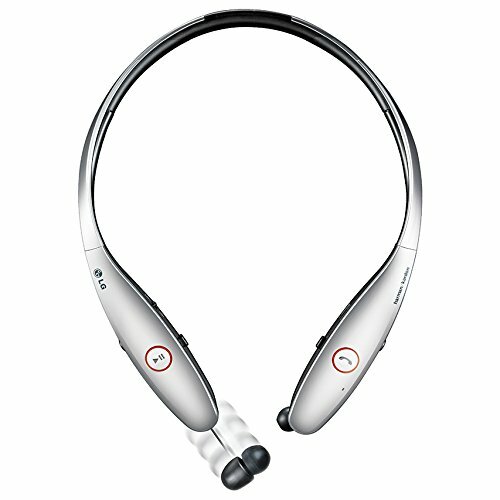 Unlike other LG Ultra Tone headsets, this latest LG headset doesn’t feature active noise cancelling feature. They sound good and balanced over all ranges. The lows are decent and not that heavy like the Shadow. Its sound also emphasizes on the middle-range. Sound quality was rated possitively (PCmag rated it 3.5 stars and CNET rated it 4 stars). In terms of feature, when the battery is low, the female voice will pop to tell you and it vibrates when there is a incoming call or you just step far from Bluetooth working range. If you are looking for premium sound and design, the Sony WI-1000X would be a good choice. You can control how much the ambient sound let in by various level NC. Though it lacks in USB-C charing, and quite sturdy yet it has a rock solid Bluetooth connection, adjustable noise cancelling and great Bluetooth audio pefromance. The RHA MA750 have a nice balanced sound, clear highs and decent bass. They are also very comfortable to wear with loops for secure fit. The latest in ear headphones of Moto is available on the Bluetooth market. The neck band seems most likely to contour well around the neck. By design as it’s said “engineered for sound and designed for comfort, the Moto stay evenly on the neck, now matter how fast you walk. It is waterproof too, but even so sport enthusiasts may find the band is a nuisance since the Moto Surround is not appropriate for exercise except running or biking. With current 2.4 GHz Wireless TECH, it is not impossible to make totally cordless Bluetooth earbuds–2 separated pieces worn on each ear, which is capable of creating stereo sound. There are a plenty of true wireless earbuds available such as Samsung Gear IconX, Bragi Dash, Apple Airpods and Earin and they arent’ without a flaw. Meanwhile, most Bluetooth earbuds you’ve seen today require a cable, or a band that fits around the neck or even behind the head to connect to two wired earbuds. For those of you who are familiar with around-neck design, I can’t fail to mention, LyreBeats-NB1, BeatsX, LG Ultra Tone Series and Sony SBH70. Here’s our comparison table about the features of these around neck/behind the neck wireless in ear headphones. Besides known features like the multipoint technology, which allows the headset to connect two devices at once, so you can switch back and forth between devices it paired with, they all have a longer playtime than average Bluetooth earbuds with a short cable. If you don’t like around-neck design, check out best bluetooth earbuds–with only a cable to connect 2 earbuds.